One of the reasons I love children’s nonfiction books, is because I learn so many new things! My children and I have particularly loved learning about incredible women who have made impressive achievements through hard work and dedication. 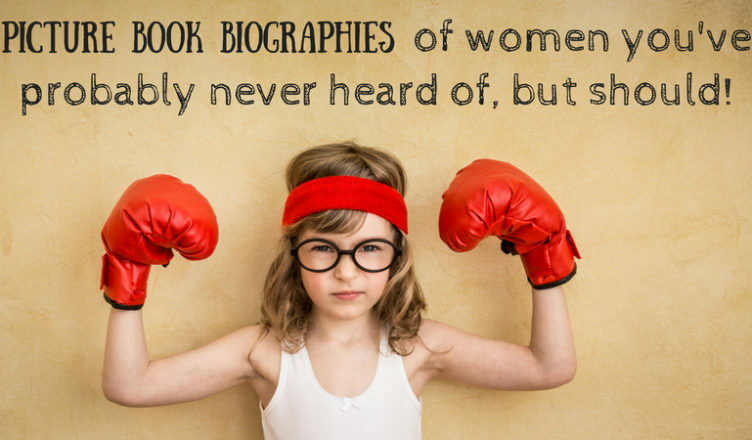 Below are a few of our favorite picture book biographies that highlight awe-inspiring women from history. I applaud the authors and illustrators who have brought these lesser known heroines to light, so that future generations will know and celebrate them. Oh, the artwork! Oh, the poetry! Oh, the inspirational stories! This book is simply outstanding! Poems using a variety of formats accompanied by gorgeous illustrations highlight fourteen incredible women. 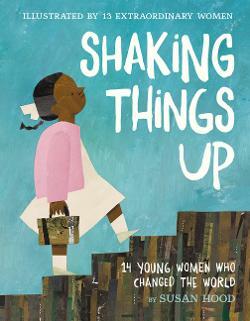 Children may be familiar with a few such as Ruby Bridges and Malala Yousafzai, but the majority of these women ranging in age, ethnicity, and accomplishments will be new to them. Children and adults will be amazed by the impressive accomplishments of each woman including Angela Zhang who started working on cancer research at the age of seventeen, sisters who were secret agents during WWII, the first known female firefighter, and several human rights activists fighting for the good of many. Every illustration is done by a different artist highlighting the uniqueness of each individual woman. While all very different, the women are united in their strong characters showing courage, determination, and perseverance making them wonderful role models for children today. This is a book that should be in every library. After reading about her amazing accomplishments, I can’t believe Betty Skelton is not a household name. Betty grew up outside of a naval air base in the 1930’s and quickly developed a love for flying. She flew solo at the age of 12 and went on to break other records in aerobatic flying and race car driving with an exceptional speed of 315.74 mph. She then began a career as the first female boat jumper even though she couldn’t swim! After conquering the air, land, and sea, Betty set her sights on space. In 1959, she became the first woman to train with male astronauts. Even though she never traveled into space herself, she paved the way for other female astronauts. The story of Betty Skelton’s extraordinary life was always a go-to for my second-grade biography unit. My students loved reading this book and frequently asked to check it out when I was done. Meghan McCarthy does an excellent job of concisely telling of Betty’s achievements and bringing them to life with her signature illustrations. 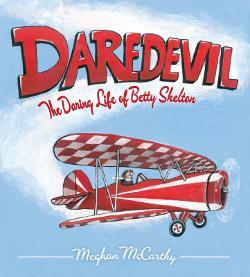 One of the things that makes this book a standout is the way that McCarthy effortlessly weaves in fun facts about Betty’s life to keep children engaged such as the tidbit of her flying barefoot and naming her plane “Little Stinker.” The back of the book is filled with additional fun facts, quotes, a time line, and further resources. Betty Skelton was a brave, determined woman who broke boundaries and everyone should know her incredible tale. My daughter was shocked to learn there was a time when girls were not allowed to wear pants. Luckily this is no longer the case thanks to strong women like Mary Edwards Walker who helped challenge social norms. 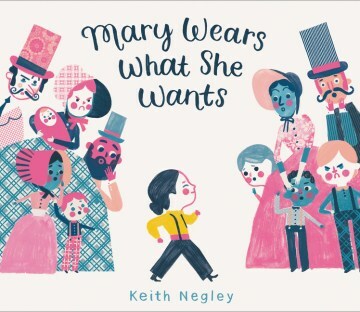 Mary Wears What She Wants shares the story of a young Mary Edwards Walker who shocked society by trading in her uncomfortable dress for a pair of pants. Despite the jeers from the townspeople, she continued to wear what she liked paving the way for other girls to have a choice in their own clothing. The artwork, the powerful messaging, the informative Author’s note, the endpapers… there is so much to love about this book. 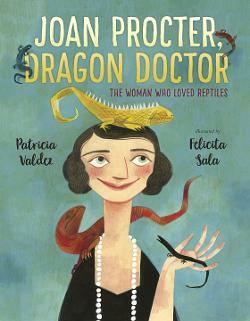 Oh, how I love a good picture book biography and this is an outstanding one! 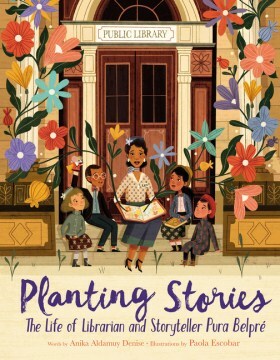 Planting Stories: The Life of Librarian and Storyteller Pura Belpré shares the fascinating story Pura Belpré who enriched children’s literature with her enchanting Puerto Rican folktales. She was a pioneer, creating the first mainstream Latinx storybooks in America. Her dream of planting seeds of stories across the United States is beautifully embodied by the gorgeous illustrations adorned with flowers. The vivid pictures paired with the engaging text that effortlessly weaves in Spanish vocabulary makes this an excellent read aloud. Pura’s legacy continues with the Pura Belpré award given each year by the American Library Association for the most outstanding work of literature by a Latinx author and illustrator. How fitting that the winner this year is Dreamers by Yuyi Morales. Like Pura, Yuyi Morales has enhanced children’s literature with her beautiful art and storytelling. This beautiful picture book biography uses simple text and child-friendly illustrations to show how one little girl achieved her dreams through hard work and perseverance. 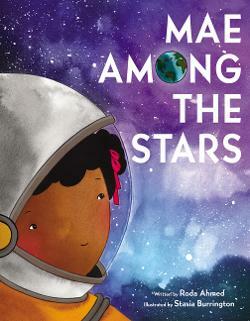 Mae Jemison always wanted to be an astronaut. When she shares her dream with her teacher, however, she is deterred and encouraged to be a nurse instead. Mae is shattered by this dismissal. Luckily her supportive parents encourage her by advising, “You must always repeat to yourself: If I can dream it, if I can believe in it, and if I work hard for it; anything is possible.” Mae Jemison kept these words close to her heart and worked hard to achieve her goal. She became both a doctor and the first African American woman in space. Mae’s story carries the important message that with desire and determination, children can go on to accomplish anything they want. It also serves as a reminder for teachers or any adult of the important impact their words can have on a child. Where many of us would squirm at the sight of a snake or lizard, Joan Procter collected and studied them. She even received a pet crocodile on her sixteenth birthday! Her love of reptiles never waned and she became the curator at the Natural History Museum and then the London Zoo at a young age. Soon she was famous for her expertise and for being the first to bring Komodo dragons to Europe. Even though Joan suffered from chronic illness and passed away at the age of thirty-four, she is remembered for her incredible accomplishments in such a short time. An author’s note provides additional information on her amazing life as well as the history behind Komodo dragons. Joan’s interesting story is set against incredible illustrations making this a perfect choice for a STEM (Science Technology Engineering and Math) themed storytime or for any child who enjoys learning something new. My science-oriented son loves this interesting story about a determined female scientist who overcame criticism to become one of the leading zoologists to study sharks. 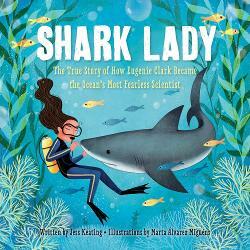 Shark Lady is a fabulous picture book biography that introduces children to Eugenie Clark, who discovered new species of fish, published several books on sharks, and was the first to train sharks proving their intelligence. Engaging illustrations bring Eugenie’s story to life teaching children about another important female scientist whose persistence and dedication leads to great things. A “Shark Bite” section in the back educates readers on additional facts about sharks while a timeline shares highlights of Eugenie’s impressive life. From a young age Edith was either out playing baseball with her brothers or watching baseball. A girl playing baseball in the 1920’s? A girl playing professional baseball at the age of ten? Impossible you say. Meet Edith Houghton who tried out for the Philadelphia Bobbies while she was still in elementary school and was so good that not only did she make the team, she became the starting shortstop. 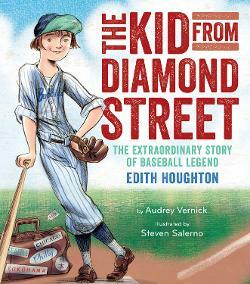 Known as “The Kid”, Edith became a famous baseball player who traveled the world playing against both women’s and men’s teams. Photographs and additional information on Edith’s life including the fact that she also became the first female scout for a professional baseball team are located in the back. Children will absolutely love this entertaining and engaging tale about a remarkable woman. 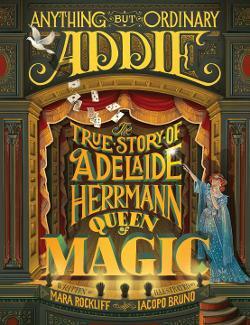 This is the amazing story of Adelaide Herrmann, one of the first female magicians. She was brave, talented, and as the title suggests, anything but ordinary. Starting out as a prima ballerina, Addie longed for more adventure. While traveling, she met Herrmann the Great, a talented magician, whom she instantly fell in love with and married. When he died suddenly, she took over the show and became one of the first female magicians continuing to wow crowds for the next thirty years. My son was compelled by this intriguing true story. The bold illustrations brought Addie’s magical world alive and the text was the perfect length for a read aloud or to share one-on-one. I personally loved reading the author’s note in the back giving more insight into Addie’s extraordinary life! There can’t be enough books about strong females and children are going to love this incredible story! As a child, Alice Guy-Blanché loved stories and when a camera that could capture moving pictures was invented, Alice knew she just had to use it to showcase stories. Alice’s movies were among the first to have color and sound earning her the title “Mother of the Movies.” Sadly, credit of her success was often given to her male assistants and her name almost disappeared from history until a recent discovery of her achievements. 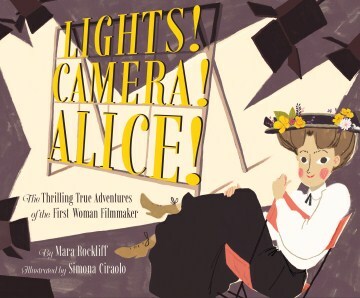 Clever details such as using Alice’s movie titles as title cards to mark important stages in her life, add to the charm of this fascinating book about a trailblazer in the film industry! There are so many more noteworthy women I would love to add to this list. If you have any recommendations, please let me know! *This post contains affiliate links and may include items that I received at no cost in exchange for an honest review. All thoughts and opinions are my own. To read my full disclosure CLICK HERE.